Keep track of flagged emails in Mail. Is there a better alternative to FlaggedMails? Is FlaggedMails really the best app in Email category? Will FlaggedMails work good on macOS 10.13.4? FlaggedMails helps you to keep track of them by adding an icon to your menu bar which gives you quick access to all your flagged mails. 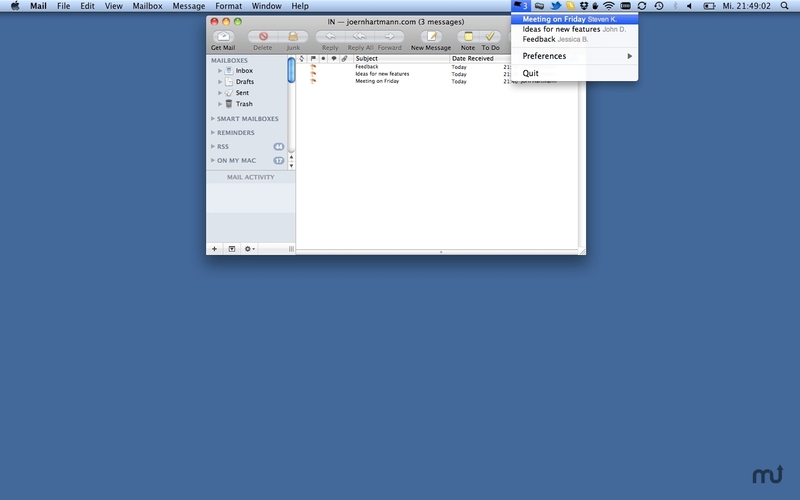 The item is always visible even if Mail.app is in background or not running at all. No setup required. FlaggedMails currently only works with Mail.app. Support for other email clients is coming soon. Added OS X 10.7 compatibility.